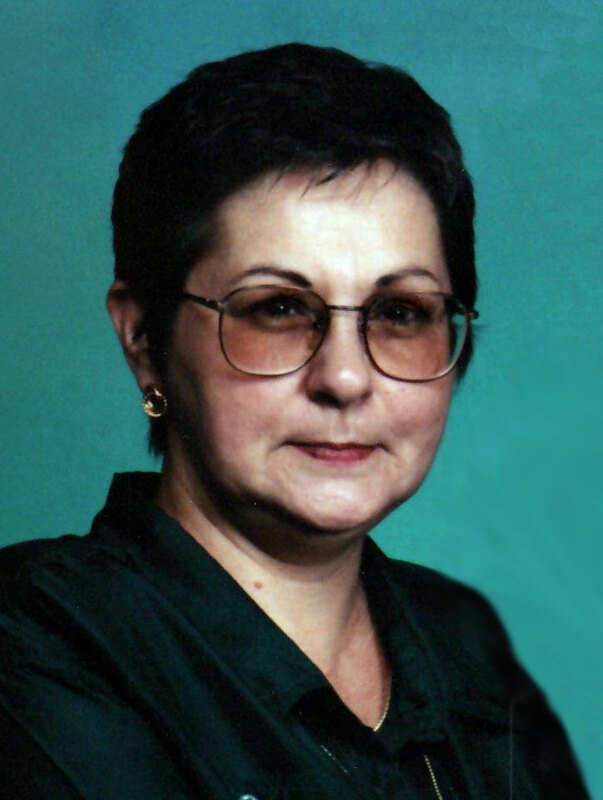 Judith Dean “Jude” Sadler, 73 of Richwood, formerly of Wyandotte, Michigan, died at home in a house fire early Tuesday morning January 15, 2019. She was born April 27, 1945 in Trenton, Michigan to the late Donald and Betty (Cantwell) Carroll, she was also preceded in death by her husband, David Sadler. They were married August 21, 1979 in Woodhaven, Michigan and he died November 14, 2007. She was also preceded in death by two brothers and one half sister. Jude was a very strong and independent woman. At age 69, she went back to school and got her GED, this was to help with her job at the North Union elementary where she worked as a Reading Mentor. She loved this job and got very close to many of the students she worked with. Judy was also currently working on getting her CCW. But the most important thing in her life was her family, especially her grandkids. She is survived by her daughter: Rae Jean Vernell (Tom) Amstutz of Richwood and their children: Daniel David, Shelby Rae and Matthew Thomas Amstutz. Memorial services will be held Tuesday January 22, 2019 at 6:00 pm at the Stofcheck-Ballinger Funeral Home in Richwood, Pastor James Taylor will officiate, friends may call starting at 3:00 pm until the time of service at the funeral home in Richwood. Rae, we're so sorry for your loss. Our prayers are with you. Rae and Tom so very sorry about your loss. Your mom was a lovey lady , and no how you will miss her.God bless you and now she is with your dad. I am very sorry for your loss, Jude was such a spitfire! We met when I started Wildcat readers and since she has become a great friend and she was a great mentor for Big Brothers Big Sisters. She was matched with a young man that she dearly loved as much as he loved her, she has mentored with Big Brothers Big Sisters since 2015 and she was an asset to the agency and the program at North Union Elementary. She will be truly missed... but never forgotten. Deepest sympathies.Miss Judy touched our lives.She was not just a tutor to my kids.She was a confidence builder and became a bonus Grandma.She helped my daughter come out of her shell.When my son would not work for anyone else he worked for Miss Judy.The time she spent with them will never be forgotten.I am so grateful she came into our lives.She had a true gift.Our hearts broke with the news of her loss.She was a treasure. I am so terribly sorry for your tragic loss. You and your entire family are in my prayers. Love and prayers to all! Judy was such a passionate lady and a blessing to all the kids she helped! Rae and family, We are so sorry for your loss. Hugs to you. Judy is a very special dedicated woman, and has a big heart to help kids learn how to read. Judy will be missed dearly. Prayers to family and friends. Rest in peace Judy. Rae, I'm so sorry for your loss. Your family is in my thoughts and prayers. Thinking of you all during this difficult time. Prayers being sent for comfort, peace, and healing in the times to come. RIP my Sweet but very Sassy Sister. Sisters not by blood, but by heart. We went through 62 years of life together. We laughed,we cried, we got angry at things, we baked together & we had crazy, goofy adventures together, we got in trouble together. Our kids would Roll their eyes when we were going to spend the day together. They knew we were going to cause havoc & mayhem together & wondered what was going to happen to cause them embarrassment on that occasion! You are gone now & I am already missing you. Rae, Tom, Daniel, Shelby & Matt I am so profoundly sorry for your tragic loss. I love you all . I am so sorry for your loss. May God give you strength at this difficult time. Rae & family we are so very sorry for your loss! Prayers for all at this difficult time. Rae we are so so sorry for the lost of your Mom and our sister in law. Thankfully we have a lot of great memories made with her and Dave. Many good times and a lot of laughs. She was one of a kind. I'm sure she is filling Dave in on the all the family news. She is in a happy place. Although we can't be there with you, you and your family are in our prayers. And we will always be grateful to her for introducing us to "Little Beers" on our 50th anniversary. Love you. What a fantastic lady!! She helped my son with his reading so so much! He'd always come home with lots of stickers, prizes and even a Christmas gift from his "wildcat reader"!! So sorry for this loss! If you read this, know that I NEVER stopped loving ANY of you. Not a day has gone by that I have not thought of all of you.